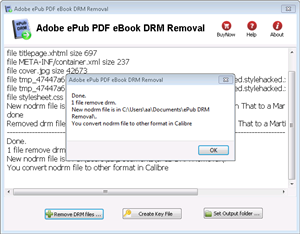 Adobe PDF ePub DRM Removal is tools to remove DRM protections from adobe PDF epub ebook, ebook opened in Adobe digital editions (ADE), it support Sony ebook store, Kobo ebook store, public library ebook. 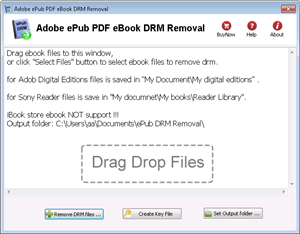 It removes the Adobe DRM (ADE) and creates a new ebook file without DRM limitation, then you can read ebook on Kindle, iPad, NOOK, Sony Reader or other device without any limitation. How to remove drm from Adobe digital editions ebook? 1. 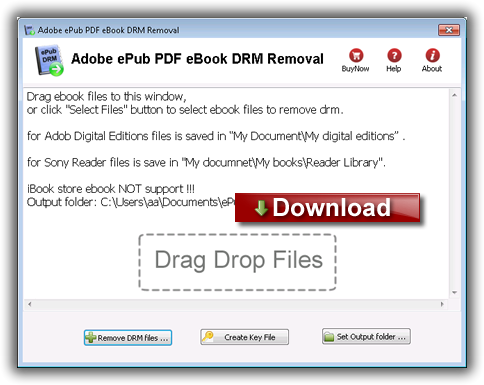 First, download and install Adobe Digital Editions (ADE), free download here. first you goto book store webpage, click “ADE EPUB” button to download ebook. if you already download ebook in Sony Software, Kobo software, just add epub file into digital editions. if you have a .acsm file, just open it digital editions. For Windows, files is saved in “My Document\My digital editions” folder. For Mac, it is “Document/My digital editions” folder. 5. 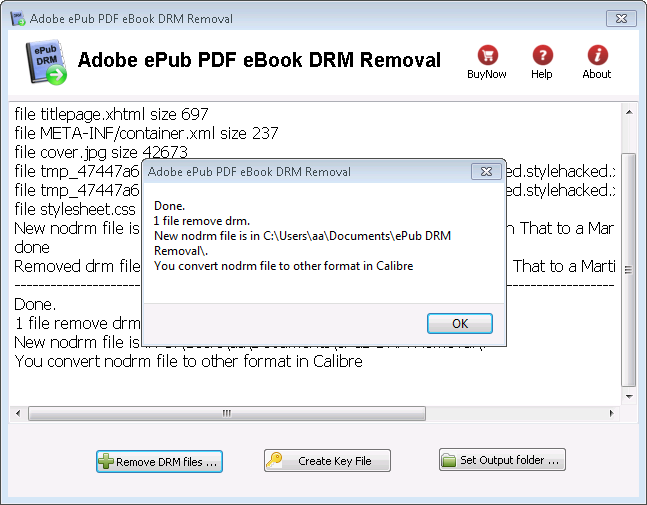 Convert nondrm epub file to PDF/Mobi format in Calibre.